People naturally look to what they are putting into their bodies to gain insight when thinking about nutrition. However, a lot can be learned from what comes out. Annie Malcolm found this to be true in what she describes as “the crappiest summer of my life.” In 2017, Malcolm studied the poop of college students at East Tennessee State University. Her research found that there was a difference between the gut microbiome of normal-weight students compared to overweight/obese students and that dietary fiber impacted this difference. What does this mean? Research has shown that the gut microbiome of each person is as unique as a fingerprint and has also been called the “second brain.” A healthy gut microbiota is important in both physical and psychological health. Nutrition affects all of us, yet many seem to know very little about it. The Internet is not much help, with a new fad diet and contradicting advice coming out every week. Dietitians must work to give people insight from evidence-based research. Nutritional research is continually driving transformation in the ways people are treated and healed. ANNIE MALCOLM is a senior Roan Scholar at East Tennessee State University majoring in nutrition and dietetics. 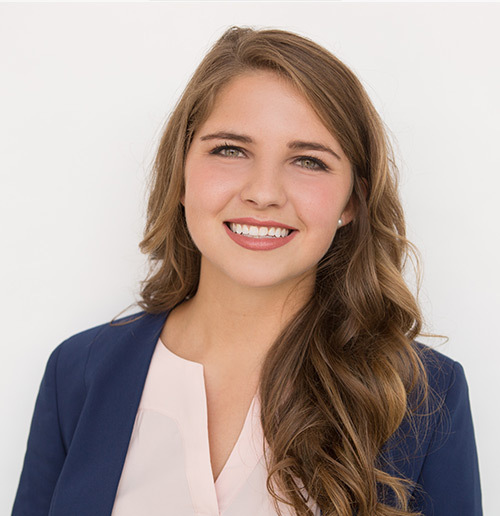 At ETSU, she is president of the Student Dietetic Association, founder and vice president of the charitable organization Bucky’s Yard Sale, and a member of the President’s Ambassadors. During the summer of 2017, she researched differences in the profiles of volatile fatty acids in the feces of normal and overweight college students. She presented her findings at the SoCon Undergraduate Research Forum in 2017, the Tennessee Physiological Society’s annual meeting in 2018, and the ETSU Undergraduate Boland Research Symposium in 2018. Passionate about childhood nutrition, she serves food to and works with kindergarten through fourth-grade students on their meal patterns at Fairmont Elementary in Johnson City. She has also taught nutrition classes and lead a running club at Coalition for Kids. Malcolm plans to pursue her master’s degree in clinical nutrition and serve the region as a registered dietitian.